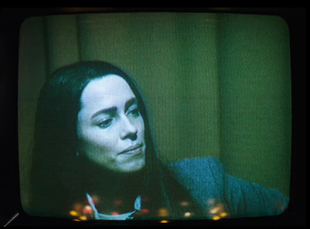 When Rebecca Hall first got the script for “Christine,” she, like most who come across the story of Christine Chubbuck, had a difficult time getting past the defining event in her life — her death. As Hall read on, she recognized that’s just what Craig Shilowich had done in broadening Chubbuck’s story well beyond her suicide. After negotiating mental health issues in his own life during his early twenties, the writer crafts a stirring, sensitive portrait of the mentally fragile woman who pushed herself into the public spotlight since interaction otherwise was hard to come by, driven by her own dangerous notion to comport herself to become who she thought the world wanted her to be and frustrated when no one would take notice. Incidentally, for Shilowich, who is perhaps best known currently as a producer on such films as “Creative Control” and “Stand Clear of the Closing Doors,” the nights and weekends spent honing the script to a point where he was proud of it has brought out the best in others. Emblematic of the care that the entire cast and crew puts into the film, Hall empathetically slips into the uncomfortable skin of Chubbuck just as handily as the character will get under yours, and Antonio Campos, who, directing from a script that isn’t his own for the first time, adjusts his distinctive visual style that often lopped the heads off young men in the frame to show the disconnect between their their actions and their minds in the arresting “Afterschool” and “Simon Killer,” to show Chubbuck in full, often trapped with her worst thoughts, and tends to deny the audience the relief of a cut as the contempt for herself and others roils in unbroken takes. 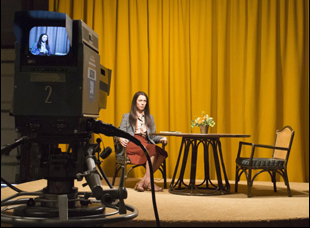 Then again, in breathing life into Chubbuck and giving air to a condition that is so challenging to discuss, particularly in cinematic terms, “Christine” feels entirely refreshing. While at the Toronto Film Festival, Hall and Shilowich spoke about getting to know the largely unknown Chubbuck and the challenges of bringing her story to the screen. Craig Shilowich: Like most people, when they come across her story, I stumbled on it. I was researching another project that also featured an unusual death, and I was procrastinating on the Internet late one night, ending up on this stupid website that was like “10 Shocking Deaths That You Need to Know About.” I got to her story, which was just this thoughtless three-sentence thing about what happened to her, and something made my heart skip a beat. From the second I stumbled on her story, I couldn’t stop thinking about it, because it had a lot of personal resonance for me. That was in 2009 and here we are today, still thinking about it. You’ve been working on films for a while in a production capacity – could you apply any of that to working on this as a script? Craig Shilowich: This is the first thing that ever was good enough to take out, but I went to school for screenwriting but fell into production, and I worked on this for a really long time. Then, when Antonio [Campos] came on, we became partners on it, but there was this slow motion letting go of the thing that I’d never had to experience before as an author of it. I remained a producer on the movie, so I was there working with the budget and dealing with all the stuff that’s inherent to putting a movie production together, and I was also an on- set writer doing rewrites day to day for Tony and for the actors, but it was really spiritual, actually, to give in and let this thing become something bigger than me. I found it really nourishing. Did you actually know Antonio from NYU? Craig Shilowich: No. We had friends in common and Melody [Roscher], my producing partner, had worked on a handful of his movies. Another friend of ours in common literally saw Antonio jogging in Brooklyn and was like “Hey, man. You should read this script that my friend Craig wrote.” And Antonio [was] like, “I think I’ve heard about that guy.” He responded immediately to the script and we were off and running from the second we met. We were like ships in the night for 10 years. Rebecca, what was your initial reaction to this? That became interesting to me, that you could be someone who goes through their life performing what they perceive to be normal and knowing, on some level, that they’re different, and it became the trigger, because I thought, “Well, sometimes, she’s really good at it, and, sometimes, she’s really bad at performing her and it goes completely out of control.” To me, that’s actually the heart of the film is that, whether she’s good at it or bad at it, the community around her actually still loves her, and I hope that, in turn, the audience still accepts her, [which] is actually a strangely positive message, because in our darkest days, we are all full of doubt and assume that everyone thinks we’re failing at being ourselves. Craig Shilowich: All the other characters in the movie are failing in some way, too. Every single one of them is presented as [almost] a stock version of that person. 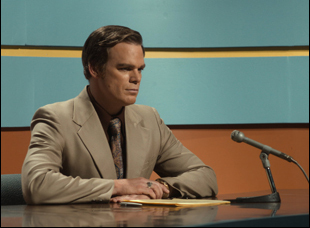 You meet the anchorman, and he’s kind of goofy — he’s got a puffy hairdo, but then you find out that he was an alcoholic and he’s doing this weird EST self-help thing. Every character in the movie goes through some version of that, and you find that everybody’s in pain and they all have different ways of coping with it, and, sometimes, those coping mechanisms just fail you. Since there isn’t a lot out there, was the research limited to what was in the script? Rebecca Hall: There’s not a lot out there. Craig gave me 20 minutes of footage of her doing an interview, and we all decided was that was it in terms of what I would look at. Craig went and spoke to friends and coworkers, but he also came to this because of his own personal relationship with mental health issues, so he had a personal story that he wanted to tell. I knew that and that this was a piece of art — it wasn’t going to be documentary realism — so my responsibility was to find the humanity of the character and make her sympathetic. To do that, I had to internalize her and care about her, and I knew that researching and hearing other people’s stories or other versions wouldn’t help with that. What would help is just building a character, which is part-imagination, because then it comes from me, and part trying to grapple with what the spirit of her is from watching that footage. Good acting is invisible and doesn’t draw attention to itself, so if you stand a chance of doing that, you have to. There are plenty of great details to draw upon – there’s a great recurring motif of the puppet show that Christine performs at a children’s hospital, which shows the different impulses that fight each other inside her head, and this continual weight of pop culture as you can see with her watching “The Mary Tyler Moore Show” or the Carpenters’ painting that hangs above her bed, almost as if they’re models that she should aspire to. Did those actually come from your research? Craig Shilowich: That comes from her life. She was very passionate about puppets and puppeteering, working with kids. That is just a fact of her existence, so that part is lifted pretty directly from what we know about her. [And] pop culture is everywhere all the time. Now and in the ‘70s, it’s pop. It’s everywhere. That wasn’t different in her time and in her life. She, especially, likes that stuff. She was a big fan of top 40 and sappy love songs. Rebecca Hall: The Carpenters were her favorite, right? Craig Shilowich: Yeah. She liked Roberta Flack, too. She actually asked for a Roberta Flack song to be played at her funeral. She was a sentimentalist that liked Americana and pop culture, so that’s a fact of her life that we incorporated into the movie, not speculation. Rebecca, at what point, do you find the posture and the voice for Christine? Rebecca Hall: When I watched the footage, I got a first impression and some of the things that came up were [in] how she sounded, but then, it became a sort of game of if I listen to that enough times, then I start to imagine what would she sound like in this context and that context, and how do I just make myself sound like her all the time. The posture’s slightly different, because I thought “This is someone who is profoundly uncomfortable in their own skin,” so the exercise for an actor becomes what would it be like for me to feel like every step I take is agony, because I’m assuming that I’m doing everything wrong all the time, then I’m having the feeling and then hoping that my body responds. I wasn’t sure whether it was inherent to the script or an idea Antonio brought, but there’s a constant churn in the newsroom, creating the feeling of machinery that Christine feels like a cog in. Craig Shilowich: Tony was obsessed with that stuff — it was crazy how obsessed he was. We trucked in all of this actual ‘70s news gear from this weird warehouse in Indiana [since] we found this guy who actually collects outdated tape and video equipment. That [idea of the machinery] was Antonio, primarily. It was inherent to the script – [the newsroom] never really working [fluidly] and people being odd fits within it, but Tony did a really good job of bringing it to life. He was just meticulous about making sure that it was accurate to the period and expressing this feeling of churning forever on the verge of breaking down that you’re talking about. Was there a particularly challenging scene to shoot? Perhaps other than the suicide? Craig Shilowich: The suicide scene was actually one of the easier things to write, because we have an actual transcript of that. Rebecca Hall: It was definitely the hardest thing to shoot, which I thought was indicative of the fact that we were doing our jobs correctly, because hopefully when an audience watches it, you have this sense of “I don’t want her to die,” even though you know what’s coming. There was a similar investment on the set. We all had an attachment to her, including myself. Craig Shilowich: Oh, it was terrible. Everyone was just walking around avoiding eye contact with one another that whole day leading up to it because no one wanted to do it. It was one of the last things we shot, so we’d spent 30 days with this person, and Rebecca was wandering around talking like Christine, holding her posture, uninterruptedly, for the entire time, so we really got to know this lady in the movie. Then, she was going to die that day, and it was really wrenching to physically film that. [In writing the script,] it’s really difficult to speculate on someone that you don’t know and haven’t met. For me and Antonio, the trickiest thing was making sure that [the film] felt credible and was humanizing to both Christine, as we were portraying her, and the other people in the movie. Some of the smaller scenes — actually, the scene between Christine and George, where he asks if she’s okay as she’s working on the Steenbeck, we worked on that scene almost more than any other in the movie, because we wanted it to just be this small, quiet moment that says a lot about both people in not very much time. That probably went through a hundred different versions until we got it. You’ll see in the movie, it is a slight scene, but it really works. Rebecca, what was your relationship with Antonio like? Rebecca Hall: Honestly, I have a more unique relationship with him than I think I’ve ever had with any director. I’m not a method actor. I don’t consider myself one and I think my process of everything that I do shifts according to what the material is, but there wasn’t really a way to do this without going under a bit, as it were. With [Antonio], we had a strange thing that I’ve never experienced before — we were incredibly articulate and communicative with each other for the chunk of time before filming, constantly talking about how it was going to be. [I did this with] Craig, too. During that process, I was building how I was going to do it in a weird way. When it came to the actual filming, for better or worse, once I was in the makeup and the hair and the costume and everything, it was awkward to be me. It just was easier to just carry on being Christine, which makes it quite difficult for a director to come and say “Hey, Rebecca, [here’s] this note about the thing that you did.” What ended up happening is we talked hardly at all during the filming. What I’m getting at is that [Antonio] has this unique ability to feel something viscerally and then change that into cinematic language and I don’t think that he could articulate how or why, so he directed me in that way. I would look at him across the room, and he would point to his stomach and make a face if it was going well, and, if it wasn’t, then he would very gently be like, “Christine, I don’t really understand what’s going on with you right now.” Somehow, through that, we knew he was feeling everything that she was feeling in time with me, and that was a weirdly symbiotic relationship with a director that I’ve never experienced before. It was great. I actually felt incredibly supported and wonderful. 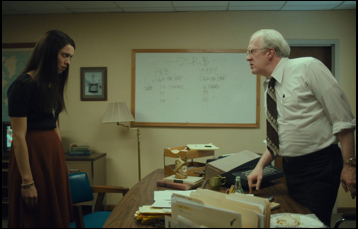 “Christine” is now open in New York at Film Forum and in Los Angeles at the Sundance Sunset Cinemas. A full schedule of theaters and dates is here. Interview: Costume Designer Avery Plewes on Fashioning "Jean of the Joneses"